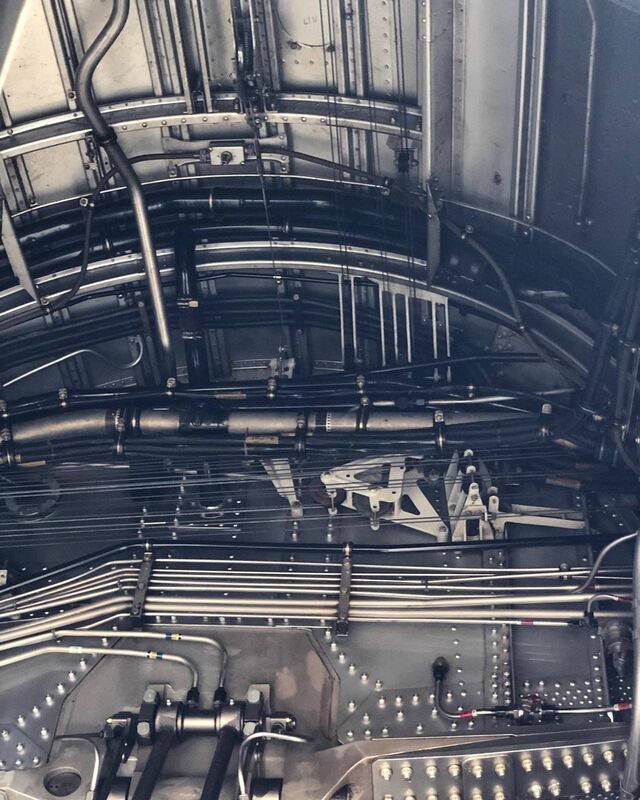 Photo Caption: Inside of an immaculate #dc6 being serviced in Hanger 8 today, home of the @theflyingbulls . One of only 2 still flying in the world today. Nice day trip over with the kids to see some friends. Thanks @zajcmaster for the tour!